A very clean and elegant Tallit Bag, we designed and manufactured this bag due to popular demand for a simple yet meaningful design. The Star of David has been embroidered into Tallit bags from centuries back, as can be seen in Jewish Museums around the world. 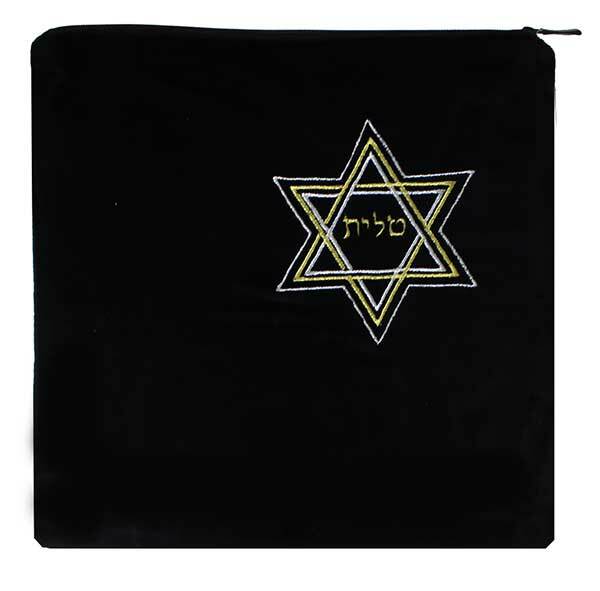 The Talis bag is intended to safeguard the Tallit and moreover the Tefillin is commonly placed together with the Talit.